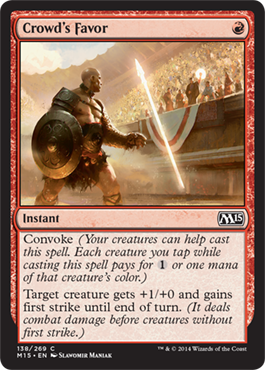 Eric's Review - A powerful spell for red "card draw." Sure you exile cards, but you essentially have access to three additional cards. 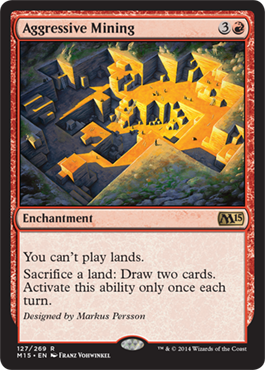 Playing them will require mana, so you already need more than three and hopefully you have access to a land in the exiled pool to help cast anything else you exile. I'm not sure this belongs in a deck with spells that cost more than three mana for everything to be effective. 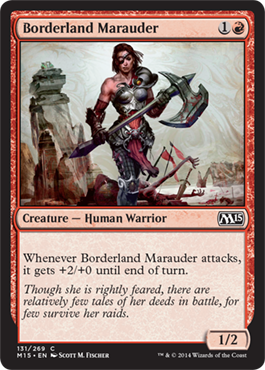 Eric's Review - The "Human Berserker" subtype definitely shows off what we may see in Khans of Tarkir. 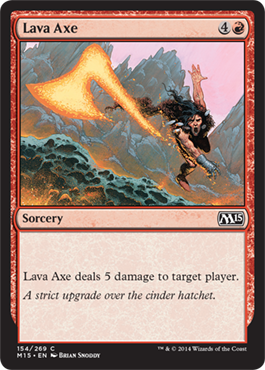 All this takes is a quick burn spell for it to turn into a 4/1 hasty first striker. 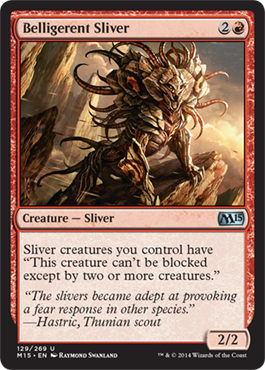 Eric's Review - Our fourth sliver essentially makes all slivers unblockable but still blockable by two or more creatures. 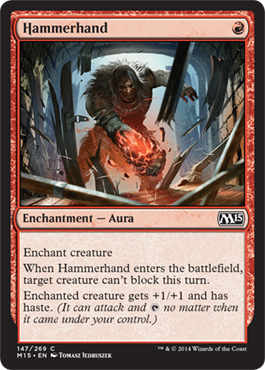 This is pretty strong as it is possible to eliminate multiple creature an opponent has or deal damage to your opponent with no blocks. 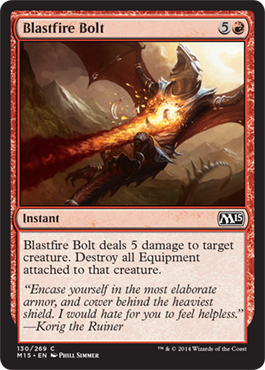 Eric's Review - Essentially a 3/2 when it attacks, this is really not a bad card at all, but more than likely this will be used for Limited more than anything. 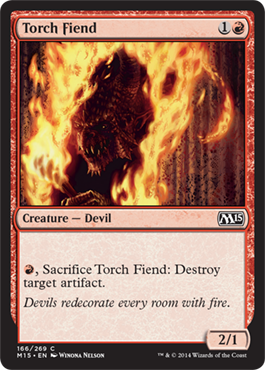 Eric's Review - A creature that creates Dragobns with firebreathing when auras are attached seems fitting for a merger between Theros Block and Tarkir Block. 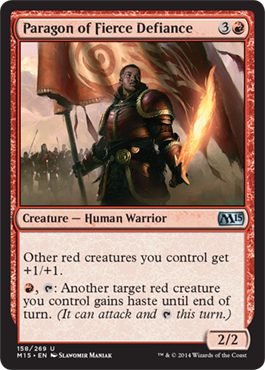 This actually seems like a pretty good deck if some sort of Boros or Naya enchantments deck can be played. 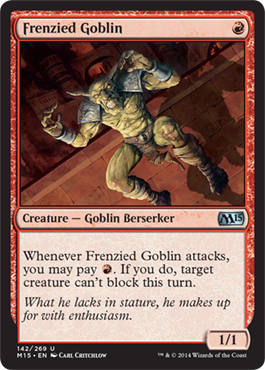 Eric's Review - I'm considering building an Uril, the Miststalker EDH deck, and this seems like a great card for it. Seems good. A bit costly for a Standard deck though. 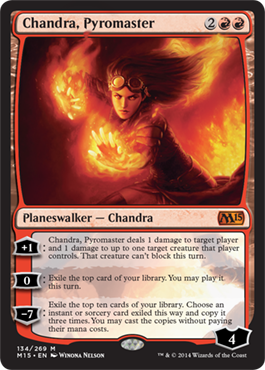 Eric's Review - A reprint that has been heralded as the best Chandra printed she is a decent Planeswalker. 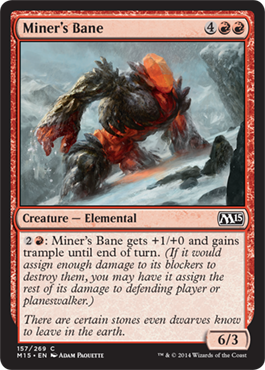 The zero ability pairs with Act on Impulse pretty well and the +1 can help creatures like Beligerent Sliver and prevent any double blocks. 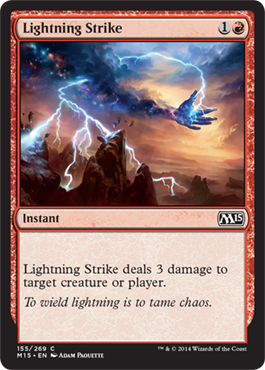 The ultimate ability is, of course, typically unattainable, but hey, copying a Lighting Strike or another spell three times is really not bad, it just requires a good spell to copy and actually Chandra up to 7 or more loyalty, which is difficult with all the Planeswalker kill spells out there. 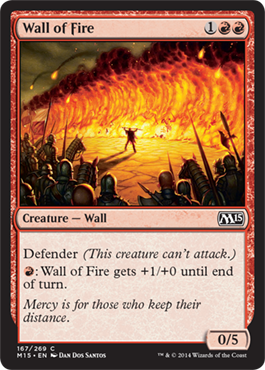 Eric's Review - Protection against ground based attacks is decent, but not probably a big thing for Constructed decks. Eric's Review - Kills the wall subtheme. Moving on. 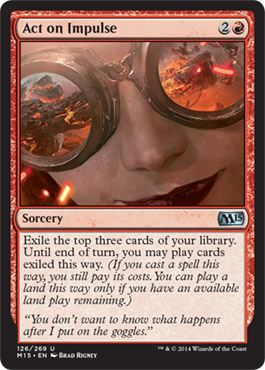 Eric's Review - Battlefield Thaumaturge from Journey into Nyx can reduce the cost of this from 5 to 2 easily and allow dealing 6 damage from a single spell. Pity we don't have Stuffy Doll in Standard. 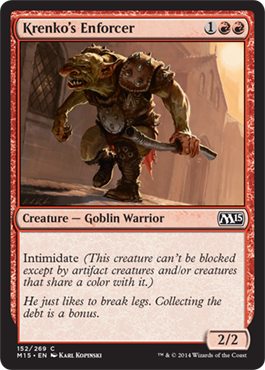 Deal 3 damage to your opponent, then 1 and 2 damage to a couple Stuffy Dolls or even to creatures they have. There is a viable Blue/Red Burn deck in Standard. 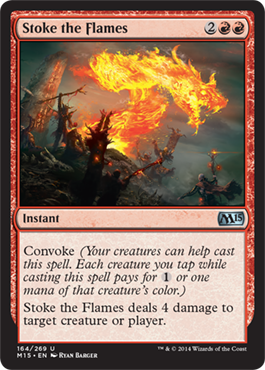 Eric's Review - Uh... Convoke is wasted on this card... How hard is it to pay a single red mana for this spell? 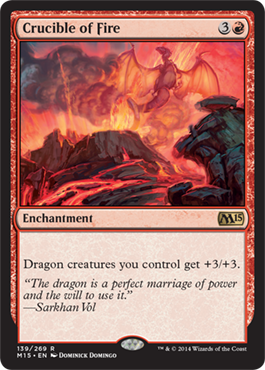 Eric's Review - Guarantees Dragons in Khans of Tarkir for sure. 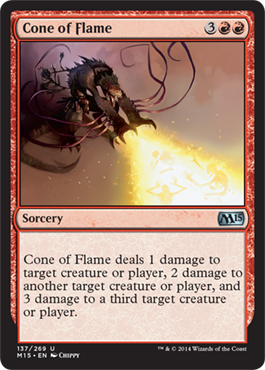 And for 4 mana, you give a huge boost to all your dragons, even the 2/2 tokens with firebreathing. They then each become dangerous 5/5 dragon tokens. 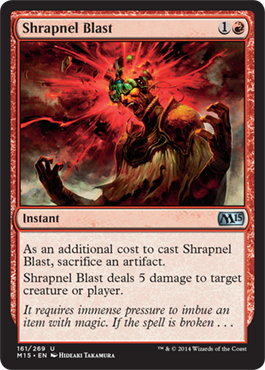 Eric's Review - By show of hands, how many of you are disappointed that only the red card from this Gatecrash cycle was reprinted in M15? Yeah, me too. 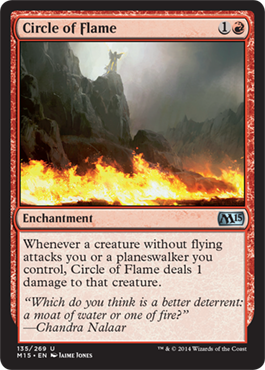 Either way, it is decent for a red aggro deck. 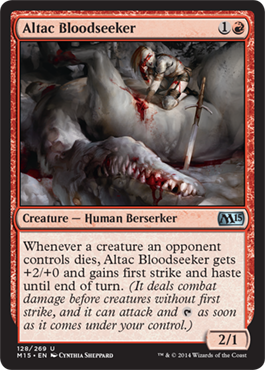 Eric's Review - A 1/1 creature capable of preventing creatures from blocking when it attacks is strong. 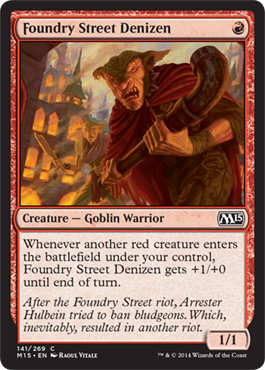 Maybe I see a Red Aggro deck coming soon too. Eric's Review - First of all, I love the name. 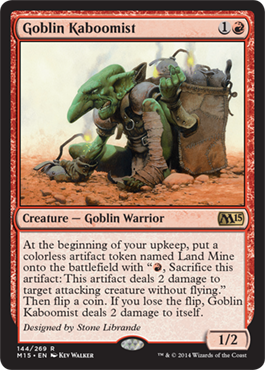 You get the opportunity to put land mine tokens into play, but Goblin Kaboomist does have the issue with dealing damage to itself by flipping a coin... Not too great. 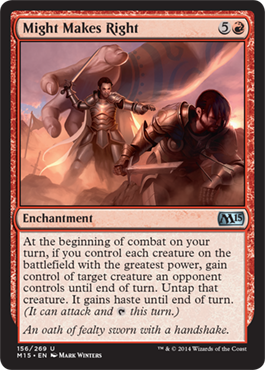 Eric's Review - Having played MTGO, I have a much better understanding of how the attack step plays out. At beginning of combat, you get 1/1 tokens, then you can declare attack. 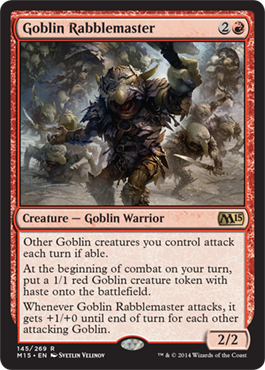 Given that they have haste and all other goblins have to attack, it evens out, and Goblin Rabblemaster gets a major boost when it attacks. 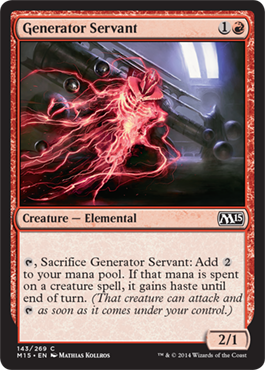 Eric's Review - A vanilla creature, good for Limited. 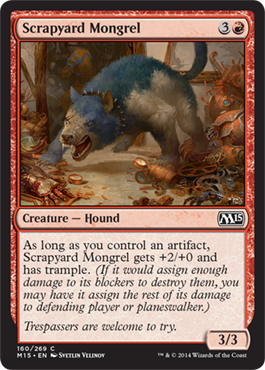 Creatures with abilities wind up better in Constructed anyway. Eric's Review - An enchantment, and it gives a creature a boost and haste. of course, it makes Brood Keeper a much more viable card. Eric's Review - Heat Ray... I'm more of a direct to player damage spell myself. Not so great in my opinion. Eric's Review - A dragon. 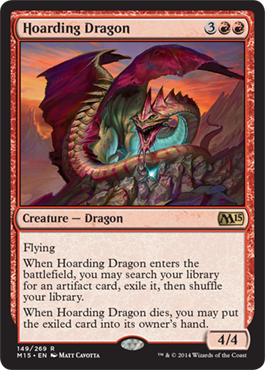 A dragon that plays into the whole artifact theme, but it has to die to get the artifact, so likely this will be a card for EDH. Eric's Review - Another cheap enchantment. Seems good to me. 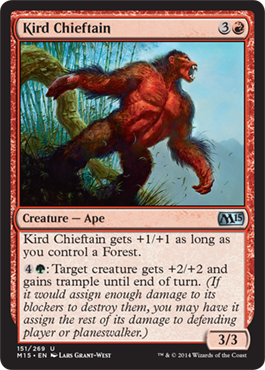 Eric's Review - Ah, the new "Kird Ape" from the new cycle. It's really a 4/4 and could be made a 6/6 the next turn. While powerful, it is costly. 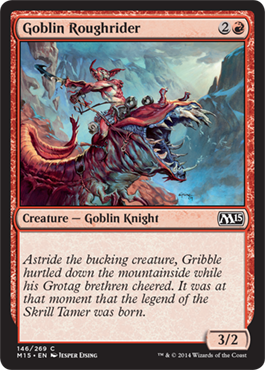 Eric's Review - Definitely strong and powerful, probably more likely to be seen in a Limited deck than anywhere else. 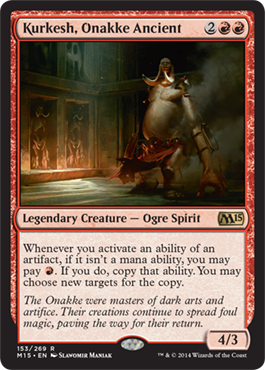 Eric's Review - Our fourth legendary creature deals with artifacts (again with the theme) where you can copy the abilities of artifacts. Kurkesh is also a decent strength too. 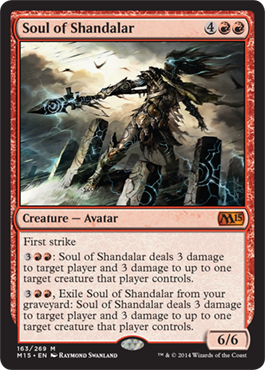 Eric's Review - A reprint, not so great, but if yo ucan ultimate Chandra, three of these should do the trick! Eric's Review - And another reprint... close to when it was released too. Eric's Review - The wording is a bit off. Does it mean controlling the creature with the greatest power? I am assuming that is true. However you do get to steal creatures and give them haste. Eric's Review - The fourth Paragon. Definitely the best so far given that you could give a powerful creature haste. 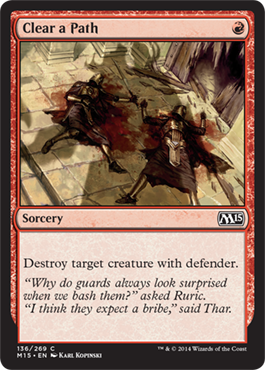 Eric's Review - Red's other form of card draw, definitely not a card I consider to be "worth it." 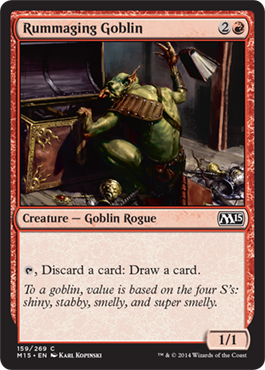 3 mana for a 1/1 is bad, and pair it with this ability? Sure its a reprint, but really? 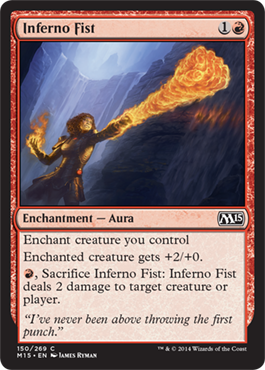 Eric's Review - Artifact subtheme still, but five damage for two mana is awesome. Sure you have to sacrifice an artifact, but that's worth it, right? 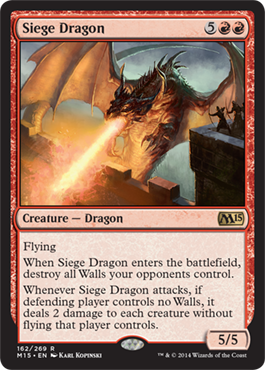 Eric's Review - The wall subtheme still, a dragon that destroys all walls (this has major flavor, by the way), then when it attacks it can deal two damage to all non flying creatures an opponent controls. Pretty amazing, huh? 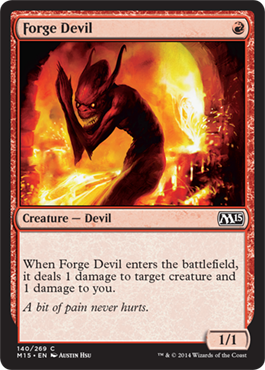 Eric's Review - 4 damage... not bad I guess, especially with Convoke. 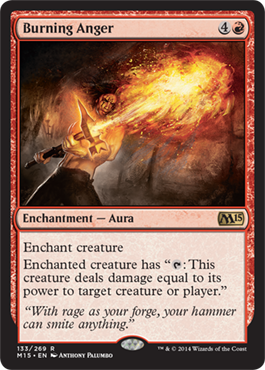 Eric's Review - Artifact destruction. Important if there is a theme.